These Dot cushions come in a variety of top-quality fabrics, in different sizes and in a multitude of colours, from the very classy to the ultra-pop. The retro colours match wonderfully: let your imagination run wild, piling up cushions, mixing colours, sizes, etc. 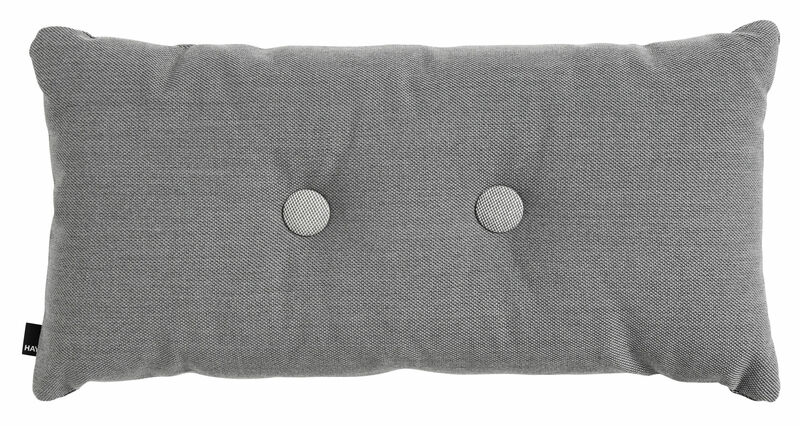 The Steelcut Trio Dot cushion is covered with a superb Kvadrat fabric made of pure virgin wool (96%) and nylon (4%). This fabric is characterised by its special Steelcut Trio weave: three different-coloured threads (1 light, 1 dark and 1 pastel) are intertwined to give the fabric a three-dimensional effect and a hue that changes according to the angle from which it is seen. 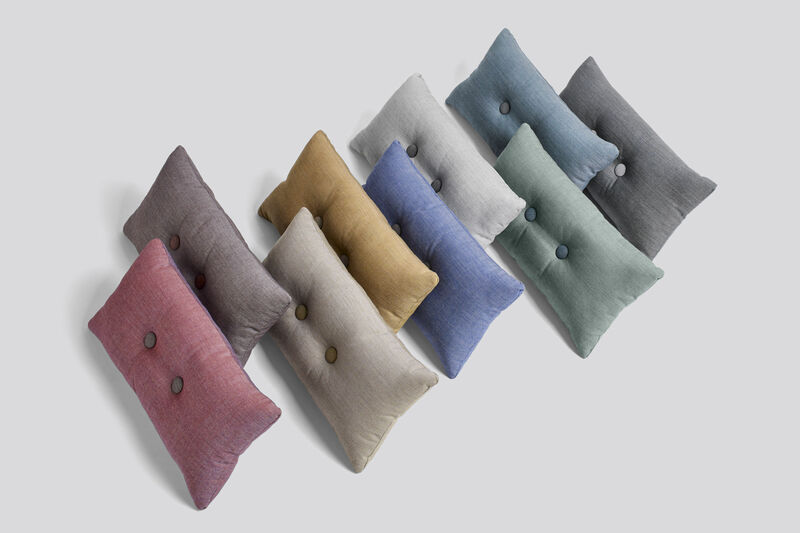 The stylish detail : the large coloured buttons that adorn the cushion, like jewels. The cushions' high-quality fabric and exceptional finishes are typical of the Hay Textile spirit.